Pocket Battles, two 11" x 17" two-sided geomorphic maps (four maps total), printed on 80-lb paper (the high-quality stuff you get in premium games) and six scenarios to play on them. 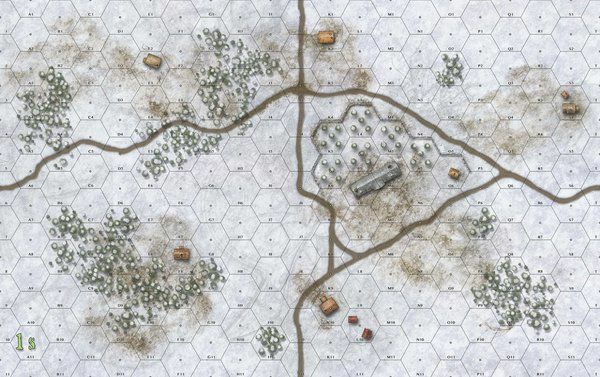 One side of each game map will depict summer terrain in the European countryside, the flip side will depict the same area in the winter. 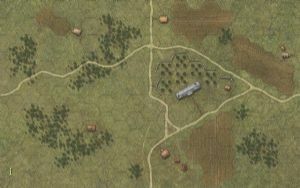 Perfect to expand the scenario possibilities in Old School Tactical Vol II.